Packed with photographs, illustrations and maps of Prague the guide includes in-depth coverage of Prague's unforgettable sights from Prague Castle and St Vitus' Catherdral to the Jewish Quarter, unearthing the best of the city's stunning architecture, phenomenal musuems, churches, synagogues, palaces, gardens and majestic art in between. You'll find 3D aerial views of Prague's most interesting districts, cutaways and floorplans of all the major sites, and detailed listings of the best hotels and restaurants in Prague for all budgets. The guide includes four 'Great Days Out' and extensive practical information including insider tips on shopping, entertainment and what to eat and drink. You'll find detailed background on everything from the statues on the Charles Bridge, to the inner workings of the astronomical clock in the Old Town Square and four guided walks of varied character. 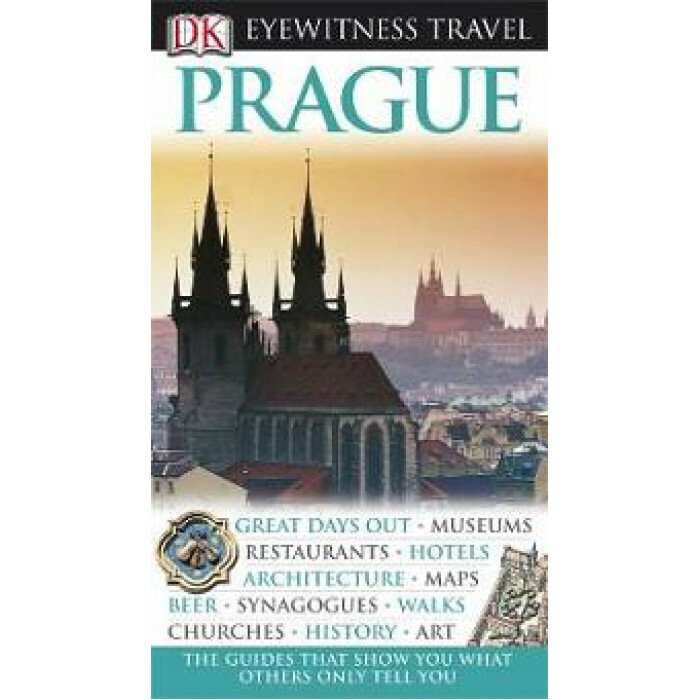 Whether you're taking in the cafe' culture or riding the funicular railway to beautiful Petri'n park the DK Eyewitness Guide Prague is indispensable.